Making money on the forex market—or any other exchange, for that matter—can certainly be tricky. But thanks to a number of chart patterns, you can learn to anticipate price movements and act accordingly. Making money doesn’t have to be impossible. Unfortunately, with so many different patterns out there, it can be difficult to figure out which ones are best for determining where prices will go in the near future. To make your job easier, we’ve outlined five of the more helpful continuation and reversal patterns below in a forex cheat sheet. Become familiar with each of them to make better trades. The head and shoulders pattern is one of the most common patterns on forex markets. Like the name suggests, a head and shoulder pattern resembles human anatomy. It occurs when a financial instrument (e.g., a currency) reaches a high during an uptrend, finds resistance there and reverts to the trendline (i.e., the neckline), reaches yet another high before reverting back to the trendline, and finally reaches a third high before falling below the trendline. The resulting pattern looks like two shoulders with a head in the middle. Those who are familiar with this pattern and trade it correctly can make a lot of money. There’s also an inverse head and shoulders pattern, which is a mirror reflection of the head and shoulders pattern. During a downtrend, the financial instrument will reach a low (the first shoulder), revert to the trendline, reach an even lower low (the head), revert to the trendline, reach a third low (the second shoulder), and then ultimately break out and close above the trendline. Wedges, also known as triangles, are one of the most common patterns you’ll notice on forex charts. These patterns occur when price movements become constricted into an increasingly narrow range before finally breaking out. Rising wedges are bearish patterns that generally precede downtrends. These occur when price consolidation trends upward. After a period of several higher highs and higher lows, consolidation is complete, and the price shoots below the trendline. Falling wedges, on the other hand, are bullish patterns that generally precede uptrends. 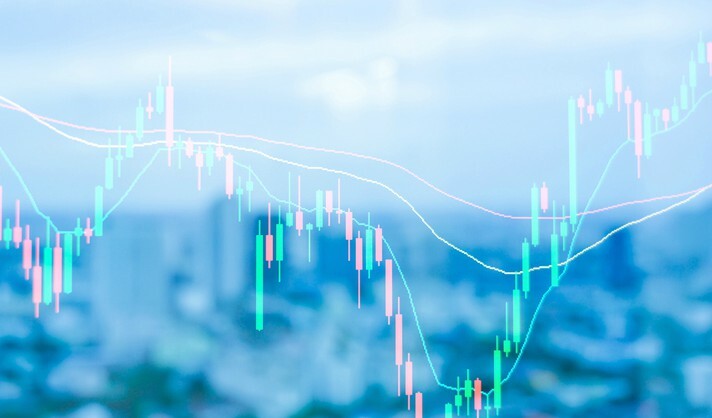 As price consolidation trends downward, a financial instrument reaches several lower highs and lower lows before ultimately breaking out above the trendline. During an uptrend, a currency may reach the same high on two separate occasions, but be unable to break out above it. This is a pattern known as a double top. If the second top isn’t cracked, there’s a good chance that the price is going to start trending down. Double bottoms, on the other hand, may signify that the price is about to trend upward. This pattern occurs during downtrends when the price finds resistance at the bottom and is unable to break down below it on two separate occasions. After the second bottom isn’t breached, the price may shoot upward. Bull and bear flags are continuation patterns that emerge when the market is indecisive. Let’s say a currency is trending upward (the flagpole). After a while, the price may stall or even tick down a bit, but for the most part, it remains more or less flat during a period of consolidation (the flag). Once that period ends, the price generally continues on the previous trend, climbing higher and higher. A bearish flag, on the other hand, occurs when price is trending downward (the flagpole). During a period of consolidation, the price remains relatively flat or even trends upward a bit (the flag). After the price has consolidated, the instrument generally continues on the downtrend. When you’re able to identify these patterns, you can make a lot of money because you’ll be able to predict, with relative confidence, when a price is about to shoot up or shoot down. Incredibly easy to identify, engulfing patterns occur when a candle real body completely engulfs the previous day’s candle real body. Bullish engulfing occurs when, following a downtrend, an up candle engulfs the previous day’s real body. Bearish engulfing occurs when, following an uptrend, a down candle engulfs the previous day’s real body. Engulfing patterns represent a complete reversal of the previous day’s movement, signifying a likely breakout in either a bullish or bearish direction, depending on which pattern emerges. Learning these five patterns and knowing them inside and out will almost certainly help you make better trades. But that doesn’t mean your education needs to stop here. To become an even more effective trader, read about these seven common indicators that can help you make better trading decisions. The information provided herein is for general informational and educational purposes only. It is not intended and should not be construed to constitute advice. If such information is acted upon by you then this should be solely at your discretion and Valutrades will not be held accountable in any way. Stay up to date with the latest insights in forex trading. CFDs are complex instruments and come with a high risk of losing money rapidly due to leverage. 63% of retail investor accounts lose money when trading CFDs with this provider. You should consider whether you understand how CFDs work and whether you can afford to take the high risk of losing your money. Click here to read full risk warning. *Free VPS is for live accounts depositing and trading 1 or more trades per month. These products are only available to those over 18 years of age. Valutrades Limited is a limited liability company registered in England and Wales with its registered office at 1 Primrose Street, London, EC2A 2EX. Company Number 07939901. Valutrades Limited is authorised and regulated by the Financial Conduct Authority. Financial Services Register Number 586541. The information on this site is not directed at residents or nationals of the United States and is not intended for distribution to, or use by, any person in any country or jurisdiction where such distribution or use would be contrary to local law or regulation.